A rich floral nose with hints of allspice, honey and vanilla. A wonderful summer wine. Gewürztraminer is the most typical French (Alsatian) wine. Gewürz means "spicy" in German and this is the main characteristic of Gewürztraminer. A member of the Muscat family with rich, pungent character and flavors, it is full-bodied, low in acid, and slightly oily in texture. 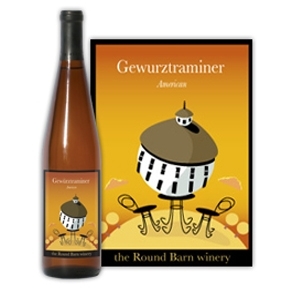 Gewürztraminer has an unmistakable trademark in its smell: a mix of roses and lychee fruit, ripe pears, tropical fruit and even sweet spices like cinnamon and nutmeg.